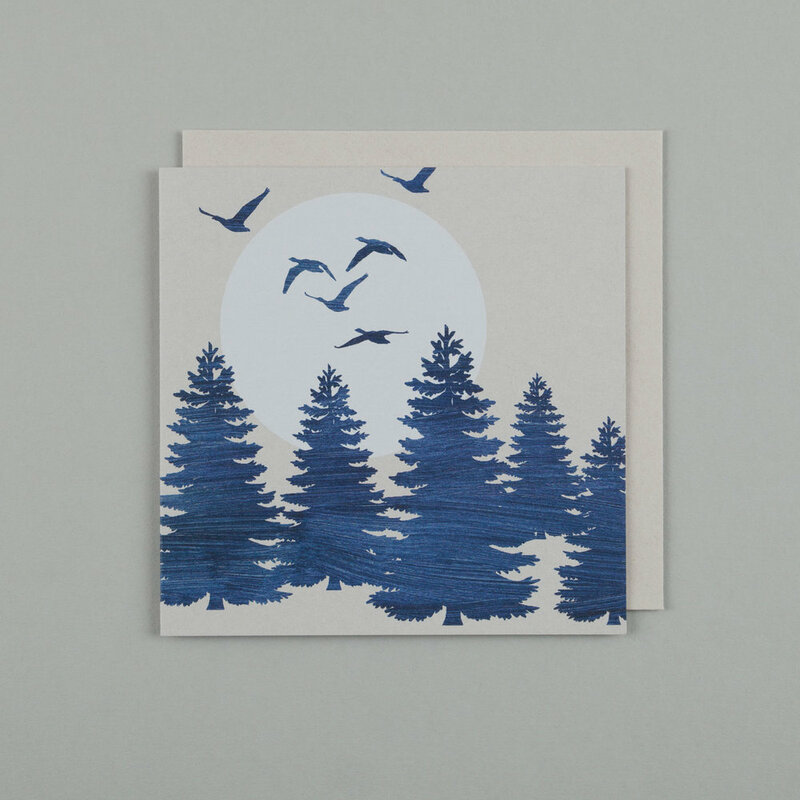 Featuring full moon motifs and striking silhouettes, the Blue Moon collection is a range suitable for any occasion. 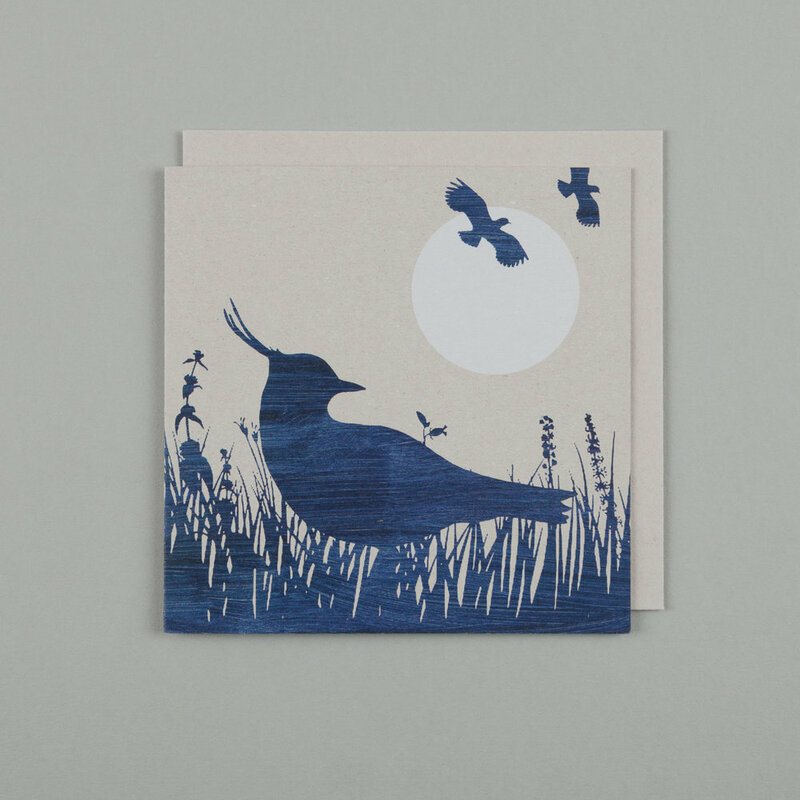 Printed on a heavy grey card which makes the background for the designs, the silhouettes are made up from blue hand painted paper. Size: 145x145mm. Blank inside, packed in a protective cellophane bag with a recycled grey envelope.